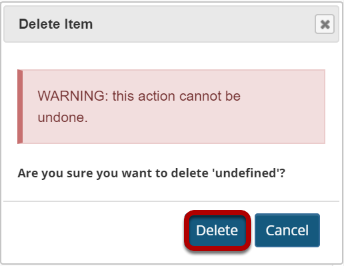 Sakai Community DocumentationSakai 19 User Guide (English) SyllabusHow do I delete a syllabus item? Note: You may also delete syllabus items in the Bulk Edit screen. Prev: How do I change syllabus item access?